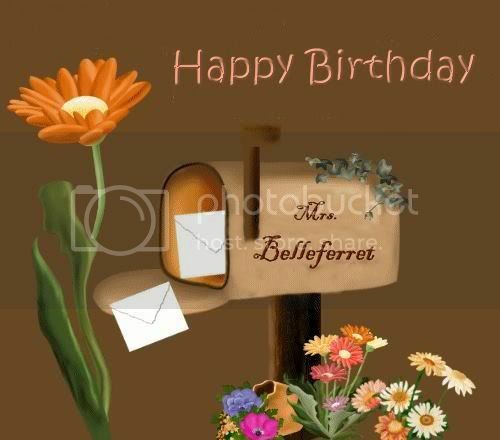 I hope, you have a wonderful birthday! Enjoy it, you really deserve it! They'd met for dinner in the canteen. The young man, Derek, was new here and had sat down beside him at the table. And he'd started to tell: about his parents, his brother and from Oildale, the small city where he had grown up. "Oildale in California? But this is impossible! From there I come, too. Then we are almost neighbors." For the next hour they shared their past. Bad memories, but good ones too, before the Big Death changed everything. But then Derek had to go and Smith stayed back alone and thoughtfully. He'd remembered a place which he'd never seen. He'd spoken of a past which he'd never lived. He'd lied! Because he had no past - no friends to whom he could remember - no home which he still knew. There was only a great emptiness in him. Sometimes he meant to be able to remember fragment-like. Then there were pictures in his mind, but they were brief and blurred and afterward he couldn't even say if they had been reality or only a dream. He'd learned to live with it, but sometimes he was desirous of sharing memories about other times with other people. It was so easy! Only a little lie: "I come from Oildale, too." And there was it, the familiarity, the mutuality and for a short time he wasn't lonesome any longer. It was just an illusion. It was not his past which he shared there with others, but nevertheless, he looked for these rare moments again and again, because for one hour they gave him the feeling to be just like all the others be. He looked up when a hand touched his arm tentatively. Kurdys voice sounded a little worried. Apparently he'd tried to speak with him quite repeatedly. He stood up and nodded. „Yeah! Let's go!" Oh Prisca, I'm so happy to see you writing another Smithfic! Thank you!! It was fun to come back to Smith. I'm glad you like it a bit. Poor Smith. It's so sad that he cannot remember his past, but maybe God wants it that way for a reason. Very nice gift for Belle. I'm sure, God wants him to forget about his past - maybe he wouldn't be able to do what he has to do if he could remember. Thanks, Mews. It is just a little bit playing around, but I really like Smiths character. It was nice to come back to Smith again - he is such a great character. What a lovely gift, babe! I always loved your Smith fics. It was "fun" to come back to him - he is such a great character.